For those wishing to follow the X-Men films chronologically, this one follows X-Men: The Last Stand, but works just as well as a standalone piece. 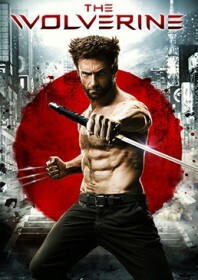 The film further proves Wolverine’s worth as Marvel’s poster-boy and a character more than deserving of his own franchise, with Hugh Jackman the perfect casting. His disheveled delivery and macho facade belies a great honesty in his performance and he elevates the character. Director Mangold places the immortal curmudgeon at the heart of a Tokyo-set Yakuza thriller, followed by a ninja yarn before culminating in a brief rehash of Jackman’s other popcorn hit Real Steal from 2011, involving a giant robo-Samurai. We join Wolverine as he lives a haunted half-life disturbed by the horrors he has witnessed – like killing his only love, Dr Jean Grey (she did turn into a marauding psychopath though, remember?) who returns to him in touching night visions. A dying Japanese soldier turned technology tycoon who was saved by Wolverine from Nagasaki’s atomic bomb calls the hirsute hero back to Japan some 70 years later to pay his final respects. But when issues surrounding the old man’s inheritance results in his granddaughter becoming the target of a criminal gang, Wolverine is forced to take matters into his own claws. He starts to experience the frailty of humankind when his superior constitution is subdued by Viper, a poisonous harlot in a PVC onesie with fatally bad breathe. As his super powers start to ebb away, there is a sense that Wolverine might actually enjoy the idea of death as a break from all this running about. The cartoon elements are still here and it’s action packed (a fight on top of a bullet train traveling 300 mph is a particular highlight, and seeing the brilliant Hiroyuki Sanada with a sword is always exciting), but happily Marvel appear keen to engage in more adult themes. It’s swearier than before and quite grisly in parts (in one scene, he gives himself heart surgery with his bare hands), and Wolverine’s story works well in isolation. His charm and indestructibility should be enough to carry any number of future sequels.